Statistical reports help us notice that bullying is universal across time and human culture, but provide no suggestions for useful strategies. Labels and value judgments make us feel better, and allow us to create a frame to imagine our name-calling is somehow different than what bullies do on the playground despite the fact that the empathy-destroying effect is the same. Like statistics, labels are very helpful for finding a path forward. Posters and Platitudes are well-meaning efforts that do more to make the adults feel better than they do to make real changes for children. At their worst, these programs are only models of hypocrisy: One does not build self esteem or social competence through posters, pledges, or platitudes. Punitive actions are often of the one-size-fits-all, zero-tolerance variety – the laziest and least accountable actions the adult bureaucrat can get away with. Punitive reactions are often meted out equally to both bully and target in the clearest message of adult indifference to both children and to the principles of fairness those adults hypocritically prattle over. Punitive responses are often calculated to cause shame, which is really the fertilizer that grows bullying. The problem is that reporting, judging, postering, and punishing aren’t things that create real and useful change through building skills or shifting culture. To achieve skill-building and culture-making, we have to understand the underlying mechanics, and commit to doing things differently on an individual level. The change you want to see is waiting – for you to make it happen. Last time, I promised to reveal how important fear is, and why we should be having regular doses of it. And, we can’t understand bullying if we don’t understand fear. You are in a restaurant with your family, enjoying a meal. In walk two hulking men in biker attire who take an immediate and obvious dislike to the mixed-race couple at a nearby table. The motorcyclists begin to speak in loud tones and obnoxious language, obviously designed to disparage the couple. The waitress takes orders from the men, who she appears to know. As they wait for their food, the loud, rude behavior escalates, obviously frightening young couple. This is also the trick – because everyone has a story about what they would do, though few people really know what that would be unless they’ve been there before. We talk about “teaching character”, which at best is delivered in hypothetical situations in warm, comfortable surroundings. And, the stories about how “I’d teach ’em some manners” evaporate under the hot spotlight of fear. Suddenly, there are other considerations – like the safety of one’s own wife and children – and the many good reasons to “mind your own business”. Motivational Literacy understands fear as part of the “crucible of character” – a context made of fear and opportunity – where our values meet our urges – and there both form and reveal our character. Marine Corps basic training is not held in an air conditioned classroom because we cannot “teach” character in an academic way. Most attempts to “teach ethics” fail for this reason. Always, there must be a context of fear and/or the opportunity to break our values. Only in that environment can we grow – or really measure – character. That’s why it’s called the “moment of truth”. This is also why we should be facilitating regular and appropriate doses of fear for our children – so they can grow the character and courage we say we want them to have. Depriving them of the fear they need to grow would be as cruel and senseless as depriving them of nutrition. And, fear is an inevitable emotion. If we don’t prepare youngsters to cope with it effectively, what later appears as their failings of character are rightly our failings as parents and mentors. If we don’t understand fear and how to use it for growth, we can’t understand bullying – or manage it. Fear builds bullying behaviors when a person navigates from fear to shame because they think feeling fear means cowardice. The psychological need to conceal shame is a powerful trigger for using aggression – to prove they are not “a coward”. Fear can contribute to bullying when a person navigates from fear to anger and using aggression – or from fear to surrender and accepting mistreatment This happens when they experience fear beyond their ability to cope in other ways. Or, fear can build into heroic courage when a child navigates from fear to resolve. This can only be done if they understand the emotion is normal (not shameful), and have the opportunities to learn navigating appropriately-sized fear by following a good and rehearsed plan to success. Repeating this process is part of how heroes are built. Well-managed martial arts classes usually follow these guidelines, allowing children to face threatening stimuli repeatedly, and to deliver rehearsed responses. They also facilitate free-style experiences with properly-sized fear can be navigated to success. This same principle holds true for team sports, drama, public speaking, musical performance, etc. – when they are well-designed. Parents can model the understanding of fear as normal: something to be learned from and mastered rather than something intolerable and helpless-making. In the next installment I’m going to reveal how completely necessary frustration is to our mental health, overall well being, and success – or how it can become a trigger for dangerous addictions. I’ll show how you should be facilitating healthy doses of frustration often, and how you can be more effective yourself as you model skillful navigation of this normal and vital human emotion. In the meantime, I’m very interested in your personal experiences – and any comments or questions you have. Please share these things below, and I’ll do my best to answer them all. 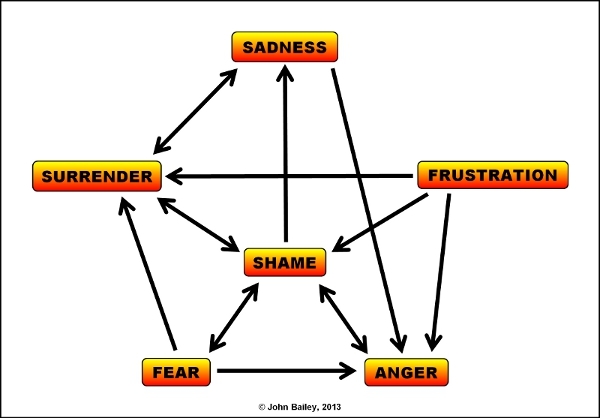 This entry was posted in Bully Blog, Dealing with Fear. Bookmark the permalink. The FREE weekly e-Paper with motivational content and stories of motivation in action. Check it out!